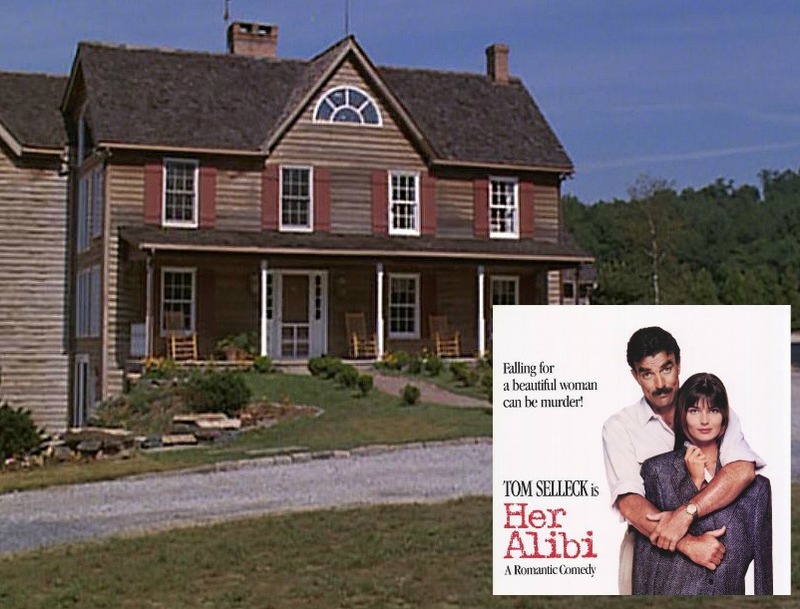 Remember the romantic comedy Her Alibi? 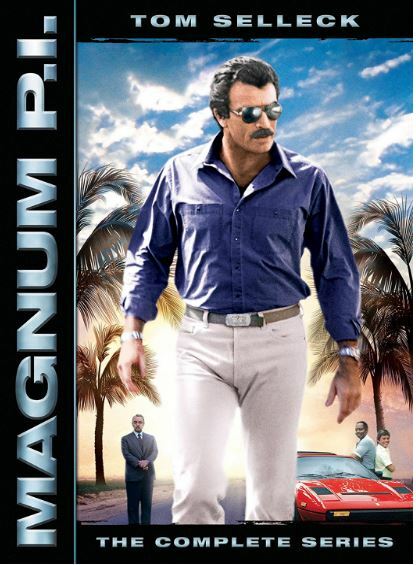 Premiering in 1989, it featured Tom Selleck as a hilariously bad writer of best-selling detective novels. I watch it every time I come across it on TV and it still makes me laugh. 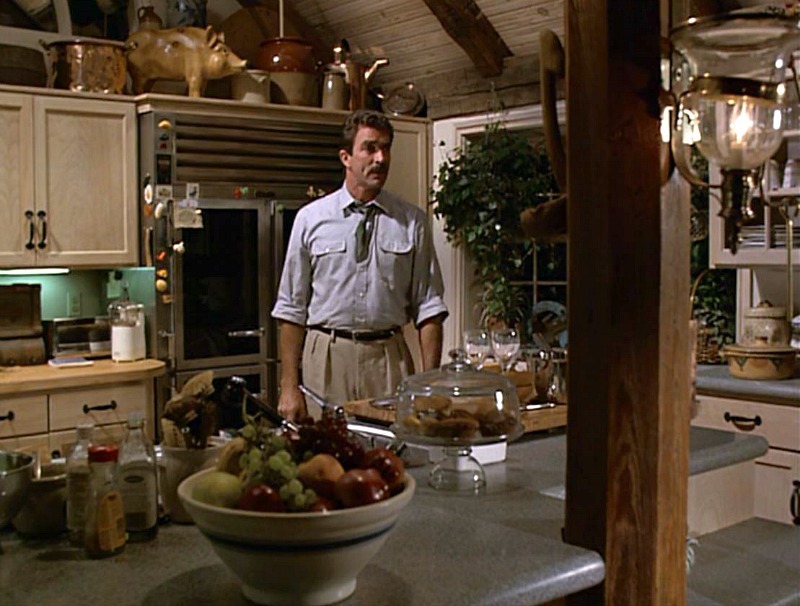 The house Selleck’s character Phillip Blackwood lived in was so unusual and memorable that a lot of you have asked me about it over the years. I was excited to hear from the family that built it and learn that it’s currently on the market in Maryland. Let’s see how the house has changed since the ’80s! The listing says “sections of the house date to 1852,” but most of it was built in 1987. 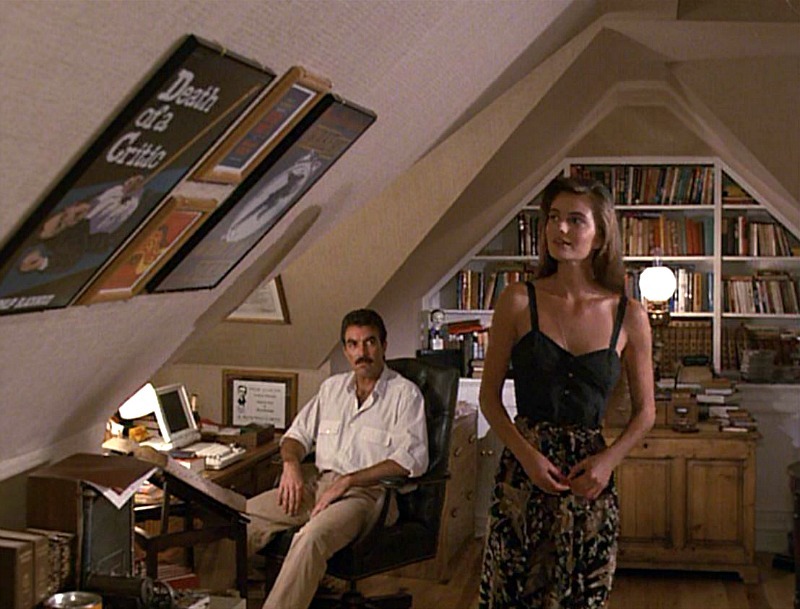 Paulina Porizkova played Nina, a beautiful Romanian arrested for murder. 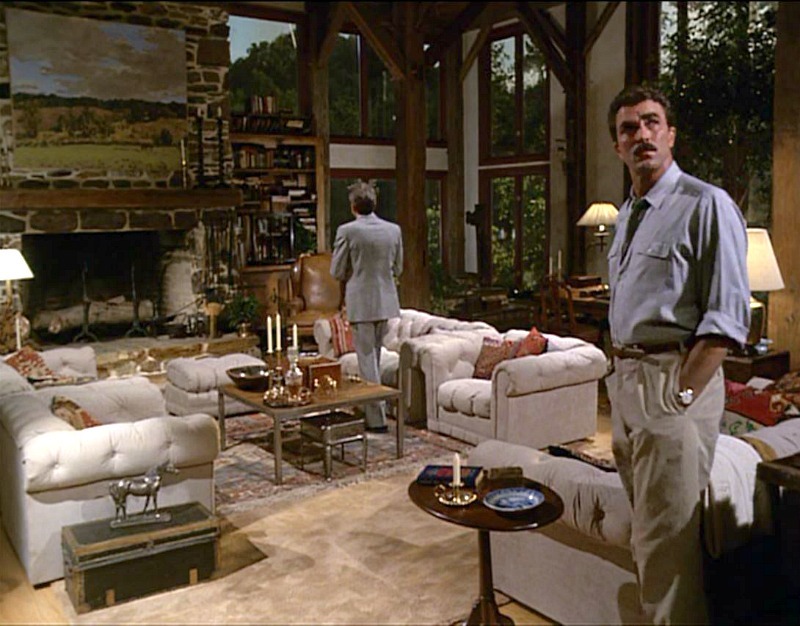 Selleck’s character Phillip Blackwood is so sure of her innocence, he gives her an alibi. 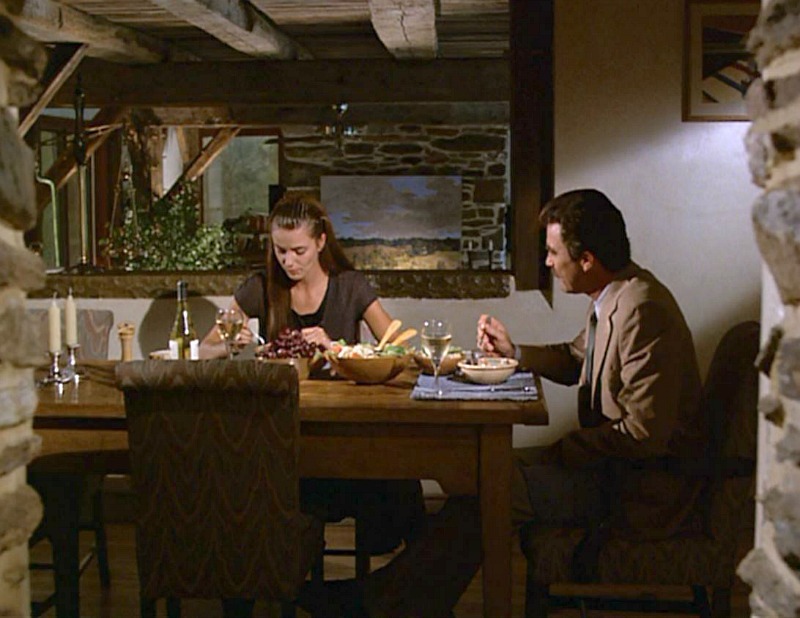 Living alone with her in his big house, however, he begins to wonder if he might be her next victim. They must have filmed most of it here since the rooms look much the same as they did in the movie. There are steps going up and down from room to room and varying ceiling heights to keep things interesting! It’s a big house with 4 bedrooms, 5 baths, and 8,000 square feet. 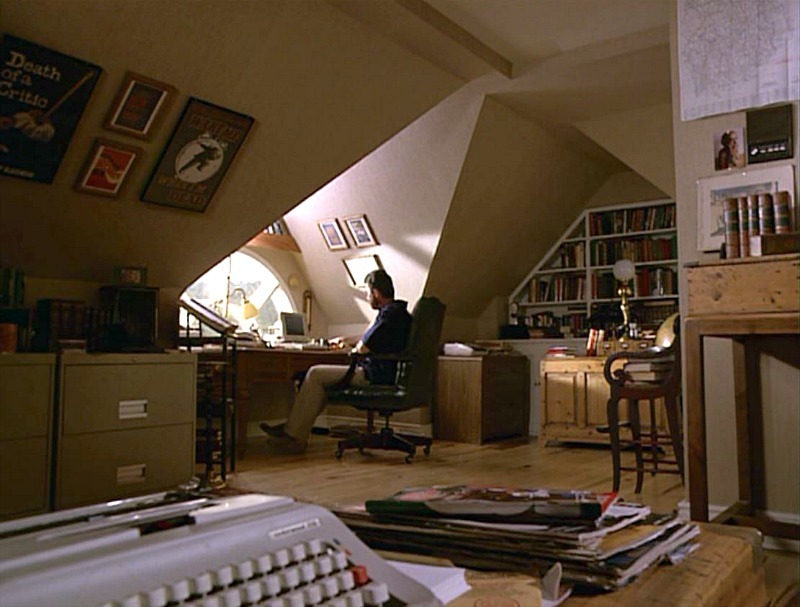 His office is filled with books and framed posters of his novels. Paulina was born in Czechoslovakia (now the Czech Republic). She married Ric Ocasek in ’89, the same year she made this movie, and they’re still together today. It’s in the Bay Ridge neighborhood of Brooklyn. According to records it was built in 1930. “The gardens look terrible in the movie, but four years later they were incredible. Living there while the movie was being filmed was awesome for a 10 year old. It was hard to say goodbye to the house. It was a warm, welcoming, loving home to all who entered it. 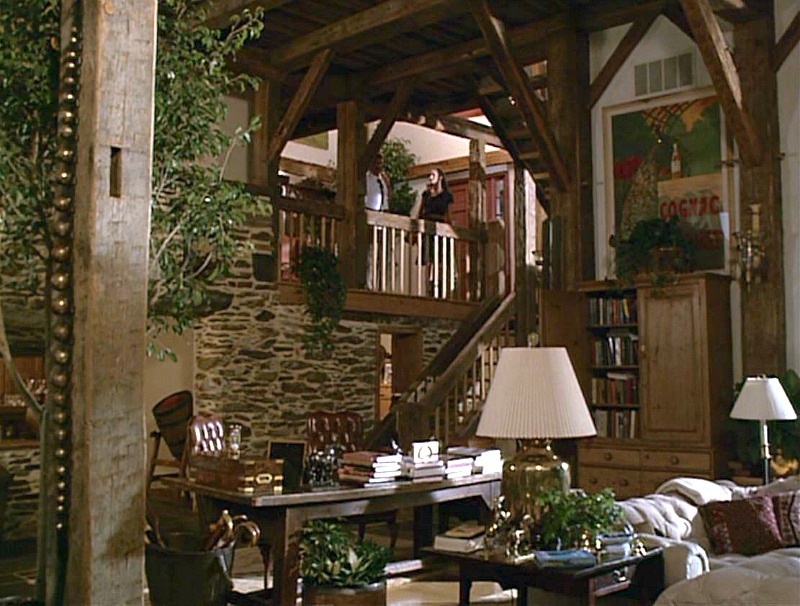 “In the great room we used to hang an 18′ Christmas tree from the ceiling and use scaffolding to decorate it. We’d have tons of people over to help and mom loved cooking on the amazing stove. “The walls and beams were my jungle gym. My hand prints and name are in an old wall we used to call the secret passage. I loved it so. I still do. The property includes a barn, guest cottage, 20 acres of fenced pastures, pool, tennis court, and horse trails. It sits on over 60 acres and backs up to the Liberty Reservoir Preserve. 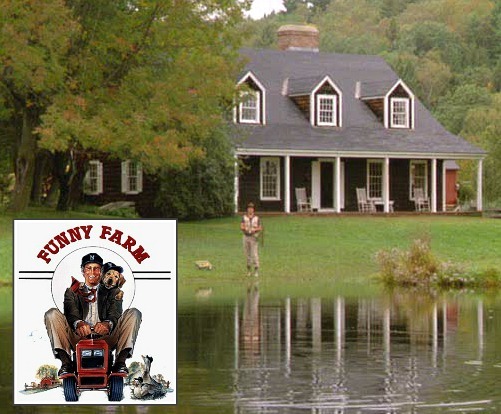 “It started as a small, unremarkable, and crummy little farmhouse, and the transformation was amazing. My brother did most of the work himself. You can find the movie here if you want to see more of the house onscreen. It’s always good for a laugh! They’re asking $3.87 million for the property. Check the listing for more photos and information. Many thanks to Kate and Karie for sharing their personal stories about it with us! Wow! What a cool house! 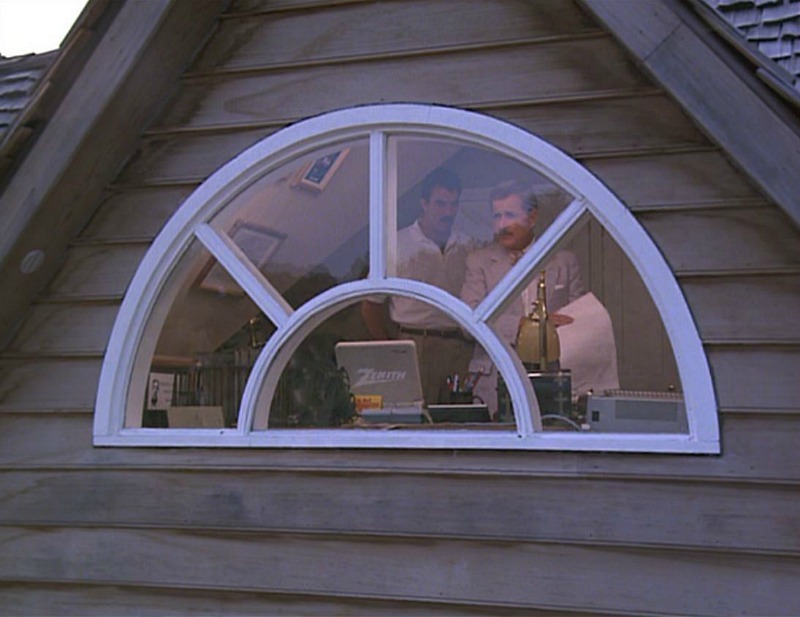 It’s looks kinda plain vanilla on the outside with the beige siding, but the inside! I love the varying levels and soaring ceilings and windows and everything! Love that post and beam construction! This is in my neck of the woods! I have always loved this house. It’s aged very well, in my opinion, unlike the many McMansions in the neighborhood. I don’t think they’re going to get that price for it, though. 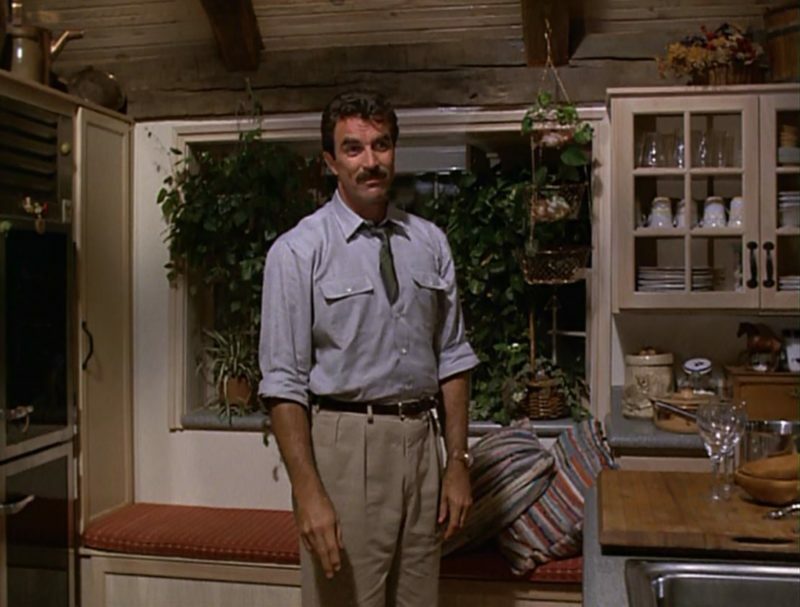 A lady (early 60s) of my acquaintance, most straight-laced person ever, ran into Tom Selleck when he was filming the movie and he gave her a peck on the cheek. She still gets starry-eyed when she talks about it, lol. It is apparent which part(s) of the house were built in 1987. Don’t you all wish you could have a walk-in fireplace? Oh I just adore them. I would hang cast iron pots and pans in them and cook soups and stews just like they did when (part of) the house was built. Cheers Julia thank you for sharing these. Your pages are so entertaining. The only part I truly take offense is using our Lord’s name in vain! Sorry you were offended, Cindy. The movie is rated PG, but if that bothers you, then it’s probably not for you! I just thought the scene was funny enough to share. 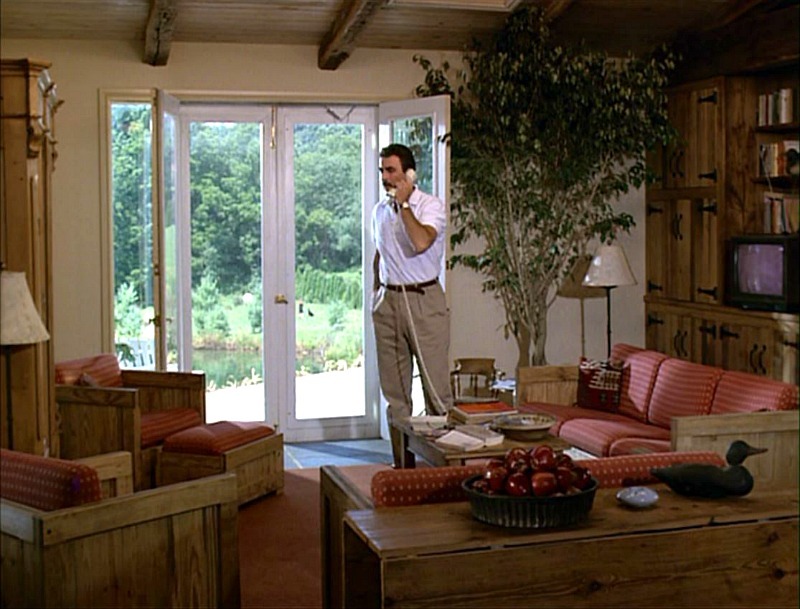 Love the decor in the movie, would totally work today. I’ll need to check out that movie. You’ve led me to quite a few movies I would never have seen otherwise! Love it! Oh, I remember laughing at this movie, but mostly I remember totally coveting the bedroom Paulina slept in. She had a big wicker type bed, a big striped comforter, and a big armoir, if memory serves. I wanted an exact replica at the time! I remember watching that movie and thought the house was the star! It was fabulous. Glad to see it still has a great look. 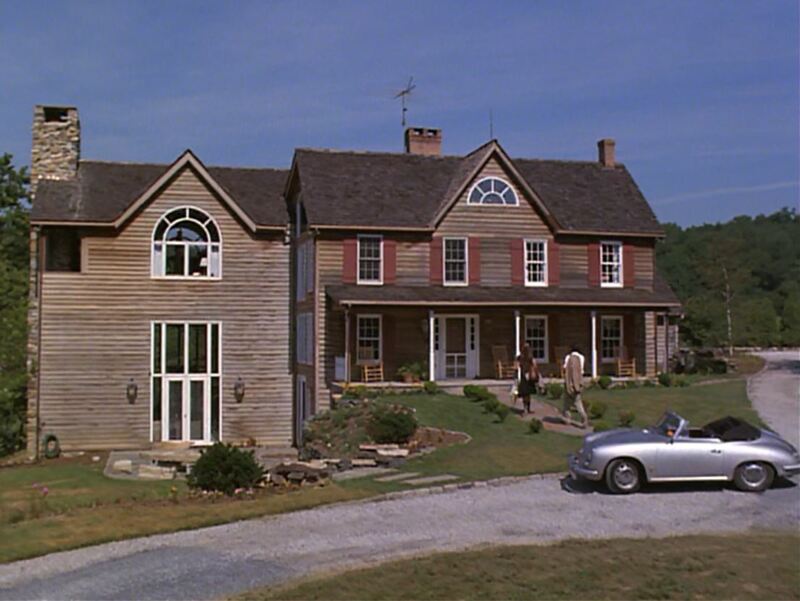 Only two movies did I think that the house was amazing, this one and one movie starring Marsha Mason. Don’t remember the name of it but she was married to a playwright (based loosely on Arthur Miller) and it was a townhouse in NYC, just gorgeous! I also live in Baltimore County….. Curiousity got the better of me….. 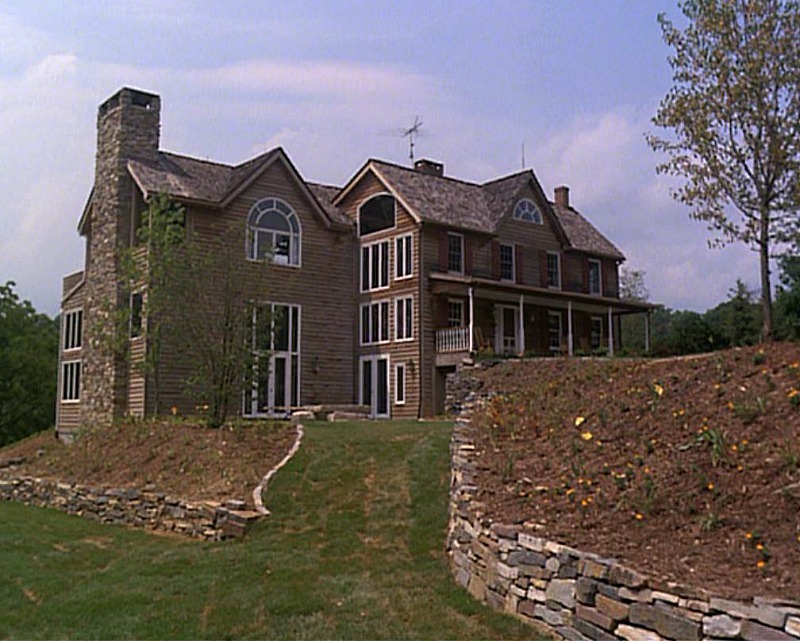 Looked into records for this incredible home and found that it belonged to Brian Billick, former coach for our Baltimore Ravens….. Appears he owned the home from 1999-2010….. Certainly is gorgeous! I love the outside look at the time of the movie……. Also loved the NYC townhouse to which Rosemary is referring…. 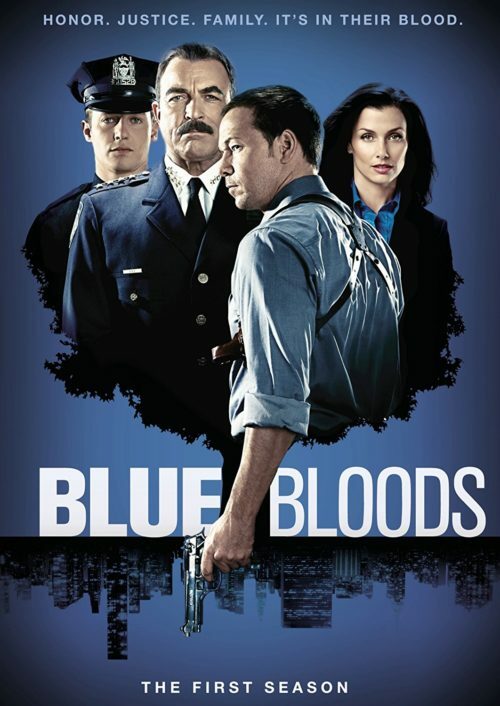 The movie was “Chapter Two” and starred James Caan as the widowed writer. 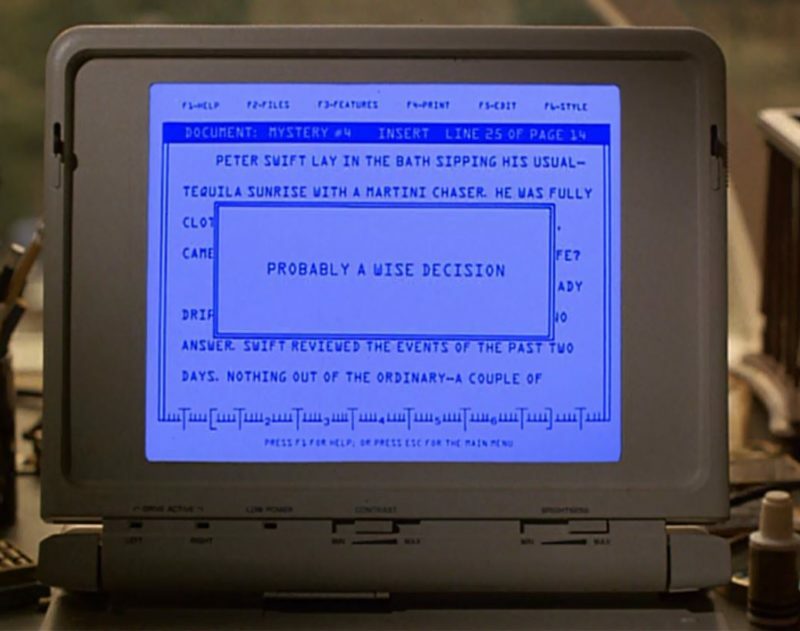 Neil Simon wrote the movie and at that time he and Marsha Mason were married. The story actually is “autobiographical”, based on their relationship. Mr. Simon’s wife had died and he married Marsha Mason within a few weeks of first meeting. Now I’m going to have to check Netflix to see if I can find both of these movies. Thanks for sharing this gorgeous home….. Thank you Janice. 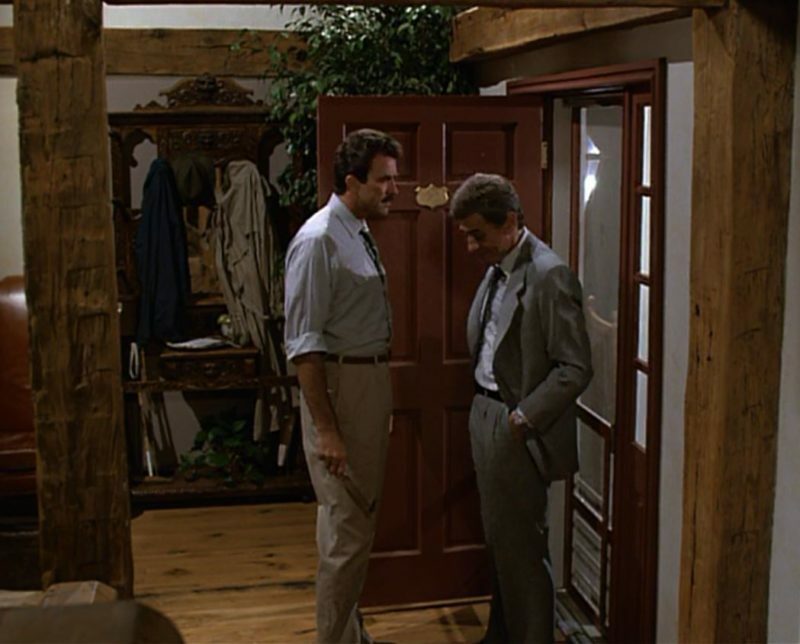 I knew it wasn’t Goodbye Girl because I knew it wasn’t Richard Dreyfess in the male lead. Chapter Two, yeah! I too will have to look for this movie. 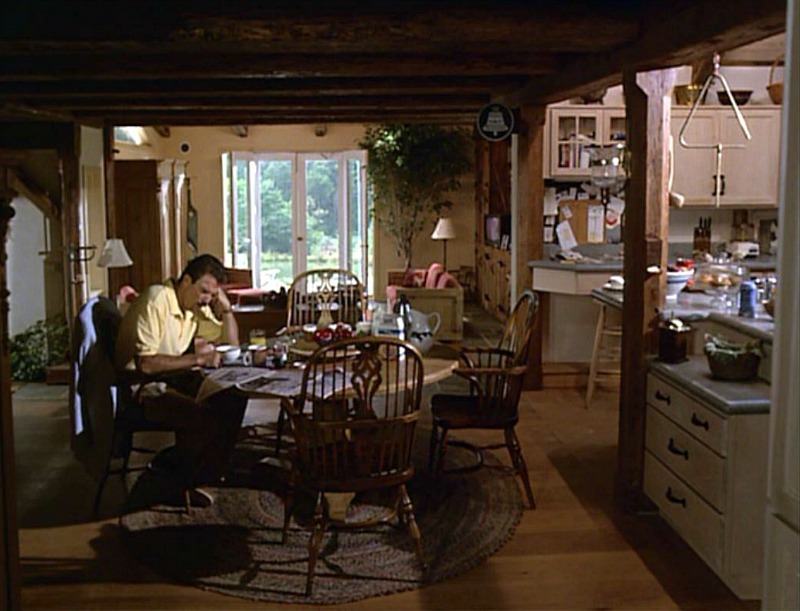 Sad movie but great house, loved the kitchen. I don’t think I’ve ever seen that one. Thanks, Janice! I have to say I love how full of life the house looks in the movie. Not so much in the realtor listings. I get people like to remove all personality, but I feel I get a better sense of the home from the movie stills. I have never seen this movie and it sounds hilarious. Thanks for sharing a scene, that sealed the deal for me to try and find it. I think the house looked bigger before they remodeled it. But it’s a beautiful house.